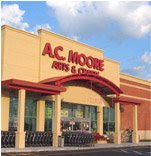 A.C. Moore 50% off coupon TODAY ONLY! It's SUPER SATURDAY at A.C.Moore! Today ONLY you can get 50% Off ANY regularly priced item with this printable coupon! So come on people - Get Your Craft On!! I think I'm going to try and score some new sewing scissors! BonTon Goodwill Sale Going On Now! BonTon's Goodwill Sale is going on now until 9/29! Get 20% Off ANYTHING in the store - no exclusions! Head HERE to get more information! Also, sign up for email alerts and you'll be able to print a 25% off coupon to get you started! I'm very excited about this. I know I have said before that I am not at all a brand specific person. I'll use any shampoo, any soap or any laundry detergent. This is all true, however there is one exception. I am completely loyal to Estee Lauder Take It Away Make up Remover! This stuff never goes on sale and normal coupons always exclude the cosmetics department, but at $22 a bottle for make up remover I'm glad to be able to use a coupon on it! Restaurant.com currently has great Fall Savings! PLUS, for a limited time (ends 9/26), get a FREE $10 Restaurant.com gift card with every order! That's $35 worth of restaurant gift certificates for only $2 - WOW! You can go HERE to request a free sample of Garnier Fructis Anti Dandruff Shampoo from Walmart. 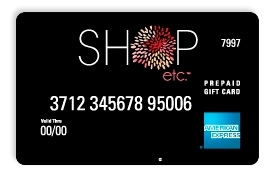 Sign up for your local mall’s email club and be entered for a chance to win a $5000 shopping spree. You’ll get a $10 gift card for your birthday! They’ll send you an email and you just print it out and bring it to your local mall’s customer service desk to get a free $10 gift card. Its Friday again, which means Mega SwagBucks Day! Today you'll be rewarded in higher increments! If you haven't signed up yet go here to sign up! Also, after you sign up go to the daily poll under "ways to earn" tab and win 1 swagbuck for each day you give your opinion. I made a late night trip yesterday to J.C.Penny. I had received a coupon in the mail last week for $10 off a purchase of $10 or more. I love getting these coupons and digging through the racks for the best prices to get my total to over $10 but under $11. This is usually easy to do with sale items, but difficult to do finding items you actually like and are your size. Yesterday I succeeded at my challenge! My total came to $10.91. I handed over my $10 off coupon and paid only $0.91 for all three tops!! The total savings off the original prices was $99.09! New printable Hasbro coupons available HERE at PlaySaver.com! These will be great if you're starting your holiday shopping for any little ones on your life! As kids my brother and I used old newspaper as mats to keep craft projects contained. My parents used it to help get the fireplace going in the winter time before they switched to gas. I have used it as packing material on multiple moves and furthermore, I have been saving the comics section of the Sunday newspaper to use as gift wrap for as long as I can remember. I love how colorful the comics section is and it works for any occasion if you have the right color ribbon. We always recycle our weekly newspapers (minus the comics section which I save) so it's not like its going into the trash exactly, but I was recently feeling that there must be a better use for it. I did some searching and soon became very inspired to use my old newspapers (and cereal boxes, which you'll soon see) as more than just wrapping paper. Instead I made gift bags! First, pick some newspaper with print that you like. I used some with flowers, produce and comics (which are still my favorite). Next cut a large rectangle. Mine started out as approximately 25 x 17 inches. Also, I doubled mine making it two-ply for more stability. Next fold down about 2inches from the top and 1 1/2inches in on the side. After that measure the length of your paper minus the 1 1/2inch side fold. Mine was 23inches. Then divide into four sides. I wanted my bag to be more rectangular than square so I divided my sides into two 4 1/2inch sides and two 7 inch sides. I marked this on my paper in order to know where to make my next folds. Fold on each of the measured points and then connect the two ends by gluing them together. Also fold the inside edge underneath the top fold (see pictures below). At this point I folded my bag flat creating creases that will make it easier to fold and store later. Ne﻿xt I decided how deep I wanted to bag to be and folded there. I then measured down 2 inches (this will be folded to create the bottom in a moment) and trimmed off the excess. ﻿Then fold the bottom in like you would a present and glue into place. One of the last steps was to reinforce the bag slightly. I grabbed an empty cereal box and cut two 1 1/2 x 7 inch pieces. I slid these under the top fold on the long sides of the bag. I also cut another rectangle to reinforce the bottom of the bag. Finally punch holes and add cord, ribbon or even shoelaces as handles. TA-DA! You've got a homemade, recycled, no cost gift bag! If you head over to the Sutter Home Facebook page you can sign up for a FREE Hope Gift Pack. Just click on the "Night of Hope" tab. The gift pack includes Sutter Home for Hope pink Chico Bag, pink ribbon bracelets, pink corkscrew, wine tasting skirts, recipes and more! While supplies last. This bag is crazy! A great mix of fashion and humor! This Freebie is all about giving! Go HERE to send an “I CARE” message to your friend and Ghirardelli will send a coupon to them for a free Ghirardelli Luxe Milk chocolate product! 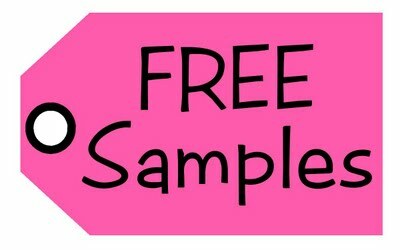 You can grab a FREE sample of O.N.E. All-in-one Skincare HERE! You can head HERE to request you FREE sample of WOOLITE® Dry Cleaner’s Secret. Quantities are limited, but there is also a $1.50/1 printable coupon available. Currently at Snapfish, if you purchase $10 in photo gifts, they'll give you $5 back in credit to your account. Just enter code CREDITFIVE at checkout. This offer is good through Sept. 26th. That brings our total for September to $87.86 - still $12.14 under budget! I got my new Target Mobile coupons texted to my phone today....did you get yours? If you haven't signed up for Target Mobile coupons yet and are interested, go HERE to sign up now! I think this is the prettiest toothpaste tube ever!!! Vocalpoint has a new Crest Toothpaste sample available. Head HERE to get yours! Note: You must be a Vocalpoint member to qualify. How handy are these? I think they are GREAT! These are AA batteries that are rechargeable through the USB slot in your computer. You can go HERE to learn more. Currently AA is the only size available to buy, but they will soon be releasing additional sizes and battery types! Super HOTT New Kraft Product Printable Coupons! Kraft has released some SUPER hott coupons on their site. Go HERE to print them! These won't last long. Note: You will have to create a myKraftFoods account to print. One month ago I posted here about how I picked up a beautiful bridesmaid dress at one of my local thrift stores for only $15. It was really a steal because I late found that the dress originally retailed for $250! Although beautiful in it's original state, I had some other plans in mind for this dress! The dress before any alterations. I also needed to shrink the almost 4 inch waistband that looked very unbalanced after the dress lost so much length. Look at the size of that waist band! EMAIL: When signing up for FREE samples online you almost always have to give your email address. This can end up filling your email inbox with junk mail you don't care to read. So create a separate email account on a free email site such as Yahoo, Hotmail or GMail to use when signing up for freebies and coupons. This will help prevent your personal and professional emails from getting mixed up in the advertisements. TIME: Many people ask "is it worth the time?" All in all I probably only spend about 5-10 minutes per week signing up for freebies, but I receive at least 3 products in my mailbox each week. To make things easy to find, I store all of my toiletry freebies in gallon size Ziploc bags divided by product type (shampoo, conditioner, soap, etc.). These little guys are great for throwing into a suitcase on a weekend away, keeping in your gym bag, sitting out for guests when they visit, and tiding you over until another great sale on shampoo comes along. WHAT TO EXPECT: Freebie are usually sample items - aka travel size items (although I have been known to score full size products as well). I have received everything from toothpaste to scrubbing bubbles, shampoo to laundry detergent, tampons to Wheat Thins and the list goes on. Currently I get 3 different year long magazine subscriptions (Bloomberg Businessweek, Time Magazine and MarieClaire) that are sent to my door that I scored by signing up for freebie. Also, freebies usually come accompanied by high value coupons with extended expiration dates. These are great to hang onto a pair with killer sales! So GO HERE to my Freebie posts to get started signing up and in 4-6 weeks you'll begin to see your freebies rolling in too! 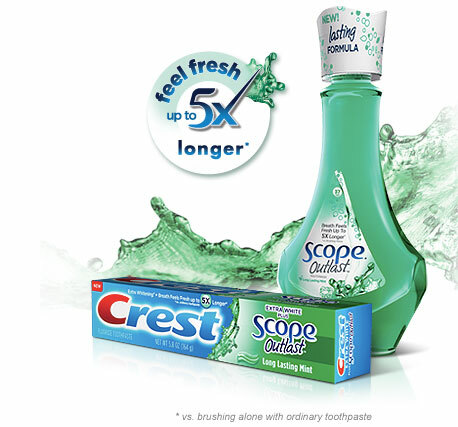 You can head over HERE to snag your FREE sample of Crest Scope Outlast Toothpaste! Head HERE to score $25 restaurant gift certificates for only $2! Just use the code "SHARE" at checkout. This is a great way to inexpensively try out a new restaurant in your area or just stretch your dollar on a night out on the town. Just head HERE and search by area code for participating restaurants in your area! 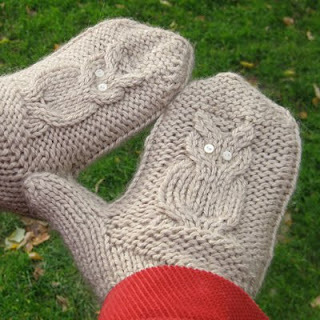 Check them out HERE at Kelbourne Woolens - there is even a free downloadable pattern. FREE Sample of Cinnabon Cream of Wheat available HERE after you watch a short video. There is also a $2 off printable coupon available. I did not give my phone number when filling out the request form and was still about to submit for it!